Okay So on Monday 17th June, My self and two other Make Up Obsessed friends headed of to the big beautiful city which is London, to take part in a 3 hour Mac Pro Course!! We were so Excited!! Myself being interested in the modelling world and theatre, Emily the beauty blogger and Naomi with simply no excuse rather than just loving make up - all jumped on the tube straight to Finsbury Park where The MUA is located! We at first didn't have a clue how to find it, with a simple post code and not the foggiest clue, we ended up listening to the Sat Nav on our phone to get us there, which all in all was pretty amusing ;). We finally made it, and after making a pit stop at Tesco for a sandwich we made our way in to the building, we walked in to a small room with lit up mirrors and make up stools, there was make up every where!! Every girls dream! From every colour foundation and eye shadow too every sort of brush you could think of. 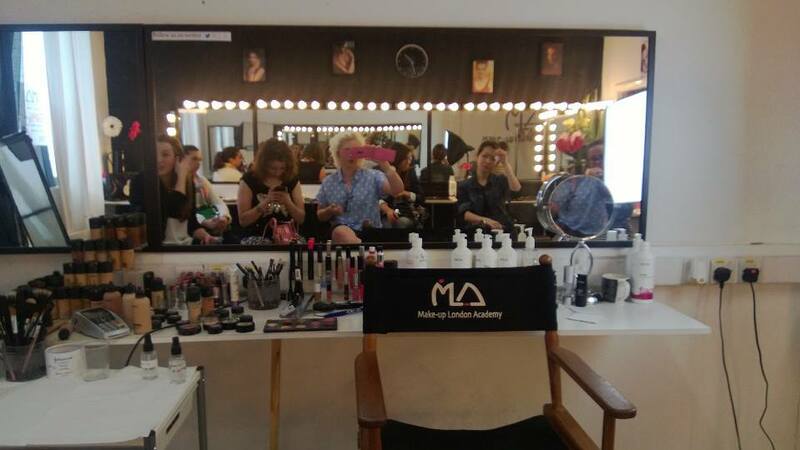 Once the room was full of people, the make up artist introduced her self and told us a little about what we were going to be doing, We then each had to introduce ourselves and what we did and why we were there The Course was going to be showing us how to perfect the perfect smokey eye! For the first hour and half she was going to talk us through all the different stages and to do this she needed a volunteer, So me being me, jumped straight in for the opportunity, before i knew it I was there sat in front of a group of people having my make up removed! I then was used as her model for the first hour and half, so she could show everyone how too apply the make up and match colour's to my skin! She talked us through every step working from the base through the foundation, powders and then the eye's and the lips. To Find out more about the tips and stages she talked us through check out Emily's blog - http://www.britishbeautyaddict.com/2013/06/make-up-london-academy-smoky-eye.html Where she has written out all of the stages of the process of the perfect smokey eye! The day was really interesting and I learnt so much, it really made me think about what I want to do and other opportunity's Make Up can lead too, I really want to do a make up course when I'm back from Egypt but looking at more stage and theatre make up! So I Can Get as creative as I want ;). 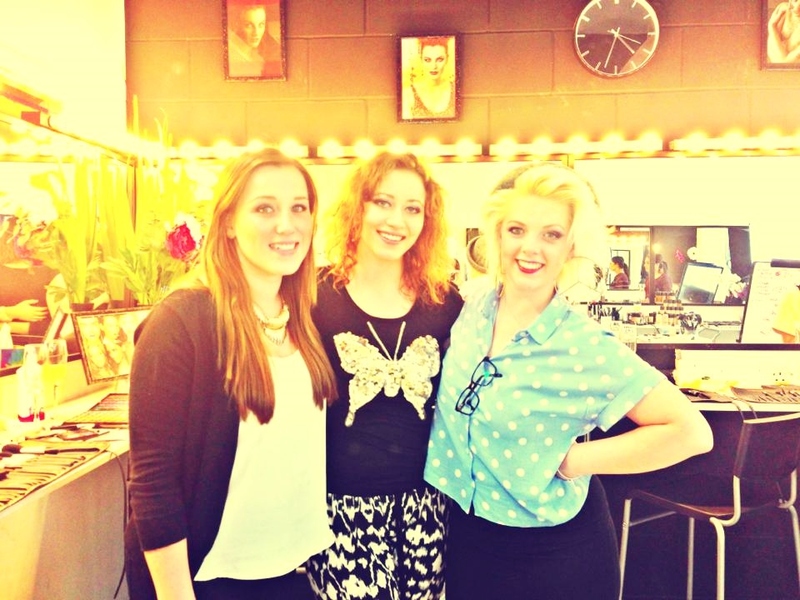 All in all it was a really good day, and I'd advise any one interested in Make Up to go and do a taster class! You can pick up many tips and idea's and its great too meet other like minded people!! I know we will for sure be looking at doing another class!! 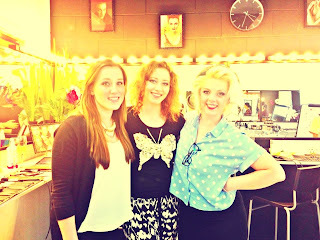 Okay So I don't usually do this, but After being completely inspired by my beautiful friend +Emily Knott (http://www.britishbeautyaddict.com/) I decided Why not, Lets give this Blogging a go. So Lets Have it. Hiyaaaar. Holla. Bonjour. My Names Amelia Penelope, I'm 20 years old and am from a tiny yet lovely little village in the country side called Bayford. Wonderful. I am a strong independent Sorta Kinda Gal. I recently graduated from Stella Mann College Of Performing Arts. I trained professionally for the last three years in Musical theatre, and Dance as well as singing acting and blah blah blah. Love it. I now work as a professional freelance performer. Modelling, Singing, and Acting like a complete prat. So Now I'm no longer a student, and living in the 'real world' (Scared Face) I thought why not start blogging about my completely exciting life. My aim is to get my face out there as much as I can and what's a better way than to talk a load of blah blah blah and get you the people to read it and hopefully enjoy it. Here I shall post with you all sorts of reviews on shows, experiences, auditions and anything that takes my fancy. Well Why Not, You're either going to love it, or find it completely pointless, but everyone's entitled to their own opinions idea's and thoughts. I love what I do, and I want to spread that joy with as many people as I can and hopefully Inspire others too follow their dreams. No Dream Is Ever Too Big! So Give It A Go What've You Got To Lose? So there we have my first little tiny almost pointless blog.